River of No Return Wilderness Outfitters is Idaho’s premier whitewater river outfitter, based year-round in Salmon, Idaho. 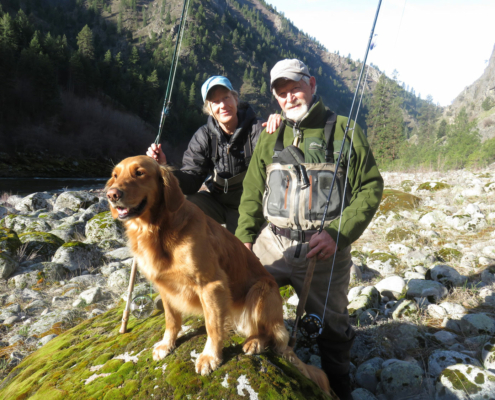 Our love and passion for the Salmon River is evident in every trip we do. Our all-inclusive five and six day river trips allow you to relax, unwind, and enjoy the peace and beautiful wild landscape of the Salmon River. We have owned River of No Return Wilderness Outfitters since 2013. 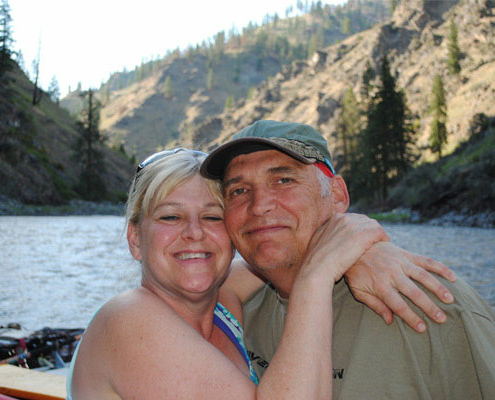 Both of us began guiding on the Salmon River when we turned 18 and have guided on the Middle Fork Salmon, Selway and Main Salmon Rivers. We both grew up in Salmon, Idaho and were classmates from preschool through graduation. 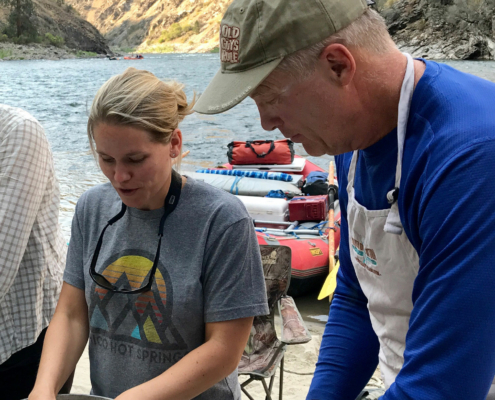 Our passion for our community and the Salmon River brought us back together in Salmon, Idaho. We have two kids: Zane (7) and Whitney (2) and one more on the way in March 2019. Our company is at home on the Salmon River and would love to share all it has to offer with people looking for a wilderness vacation. Zach is our lead guide and has been working with RNR since 2015. He has been guiding on the Main Salmon since he was 18 years old (2007), although he has been floating down the river for most of his life. 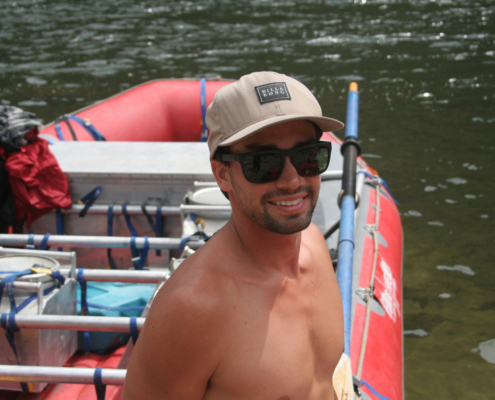 Along with his Main Salmon experience, Zach has worked several seasons on the Middle Fork Salmon River. He is the owner’s (Breann Green) brother. 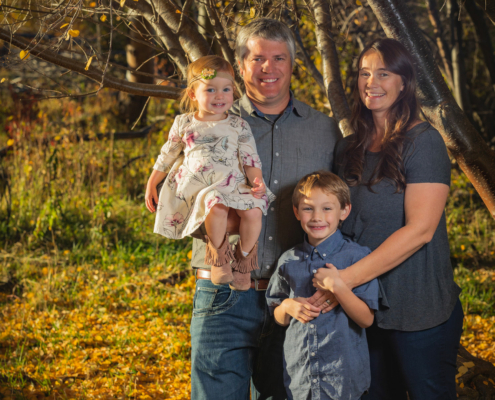 Zach is married to his wonderful wife Crysta and they have a daughter Zoe (2) and a son McKay (0); yes, that is after the famous Salmon River Scow driver Jonny McKay. When he is not busy wrangling kids or on the river, Zach, who lives in Salmon, Idaho, works at the local ski hill, Lost Trail Powder Mountain grooming runs and creating exciting terrain park rails and jumps. His passion for the river is matched by few and he works hard to make sure your vacation is something you will not soon forget. Andy has guided for RNR since 2015 and often brings his wife Marie along as a sous-chef. They live in Boise, Idhao and have a house in Salmon, Idaho. They are river rats from way back and love this river as much as any of us. Andy is enjoying recent retirement with grandkids and roadtrips on his dual-sport motorcycle. These two are recovering Salmon River outfitters. They live in the Salmon River Canyon below North Fork, Idaho. Occasionally, RNR gets lucky enough to get one or both of them to guest guide a trip with us. The experience and energy they bring to the crew is infectious. They are avid steelheaders and work diligently to help recover our wild fish in Idaho. Tessa grew up in Salmon, Idaho and has been a rafting guide ever since she turned 18. She recently graduated from Westminster College with a degree in geology-hence the reason she is guiding for us. Tessa is an avid skier in the winter months. She brings a great energy to the RNR crew with some quick wit and a flashy smile that will keep everyone on their toes. Tucker grew up in Salmon, Idaho and graduated high school at the head of his class. He is currently enrolled at the College of Idaho hoping to get into Medical School to become an anesthesiologist. Tucker has been with RNR since 2018. Along with his culinary skills he is quite competent as a mixologist. RNRO is an equal opportunity employer.